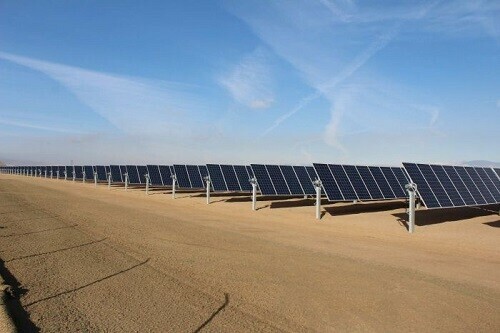 Lancaster, a city located in southern California has recently become the first city in the world to be zero net energy. This mean that the entire city produces more solar energy through its solar farms than it is able to consume. The Mayor of Lancaster Rex Parris has visited Australia to help share his stories and last week visited Kiama for the Cities Power Partnership summit. Mr Parris spoke at the summit to a large number of representatives from local councils all around Australia about ways that they could possibly follow suit. He told the crowd that as well as its obvious sustainability contributions the project has increased employment and brought new manufacturers into the area boosting the local economy. The reason he decided to take charge of the issue was due to the need to look after the safety and wellbeing of his constituents. “Climate disruption poses the greatest threat to the public, and the primary function of government is to protect the people,” Mr Parris said. Local councils have been inspired by Lancaster and its alternative energy approaches, with many council representatives saying the Federal Government’s lack of climate change policy makes it even more imperative that they take the lead. Macquarie University academic and climate change researcher Lesley Hughes, a keynote speaker at the summit, agrees with council representatives that they must step up and fill the vacuum left by the Federal Government. Professor Hughes said councils were the ones who bore the brunt of a changing climate. “Whether it’s building roads or telling people where they can put their houses, Local Government is where the adaption rubber really hits the road in terms of climate change,” she said. Professor Hughes said alternative energy community projects were crucial in generating interest among citizens about the impacts of climate change and what they could do to help the planet. Solar Choice agrees with Professor Hughes and believes that by utilising solar for your own home or business is a great step in the right direction and something that helps inspire and educate others in your local area. For a free and impartial analysis of the benefits of a solar installation then please contact Jake Elliott on 0422 550 880. I agree to inform Solar Choice of the name of the installer I eventually select -- Why?